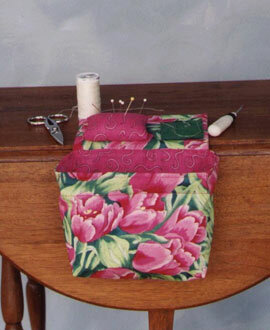 This is a great project to make for you and your sewing friends. The top sits on the table or arm chair and has a pin cushion an needle holder. The basket hangs and collects all of the little threads and snip-its. Price includes shipping and handling.